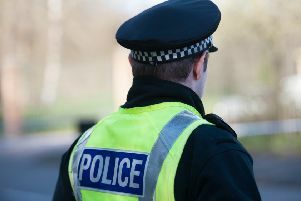 Police are hunting a man who appeared from bushes and attempted to sexually assault a woman as she walked through a West Lothian park. The incident happened in Blaeberry Hill Park, Whitburn, at around 7pm last Friday, when the 47-year-old woman was walking her dog in the direction of Raeburn Crescent. She was confronted by a man who appeared to come from the bushes next to where she was walking. He approached her from behind and placed his hand over her mouth. Following a short struggle the woman broke free and the suspect made off in the direction of Mansewood Crescent. The victim believes the man was waiting for her as she did not hear him on the path beforehand. The suspect is described as a white man in his 20s or 30s. He is around 5ft 6” with a slim to average build and was wearing a dark hooded top, dark trousers and woollen gloves. Detective Inspector Paul Batten, of Livingston’s Criminal Investigation Department, said: “This was a frightening and potentially very serious attack. Those with information can contact officers at Livingston CID on 101, quoting incident number 3446 of November 30, or anonymously via Crimstoppers on 0800 555 111.